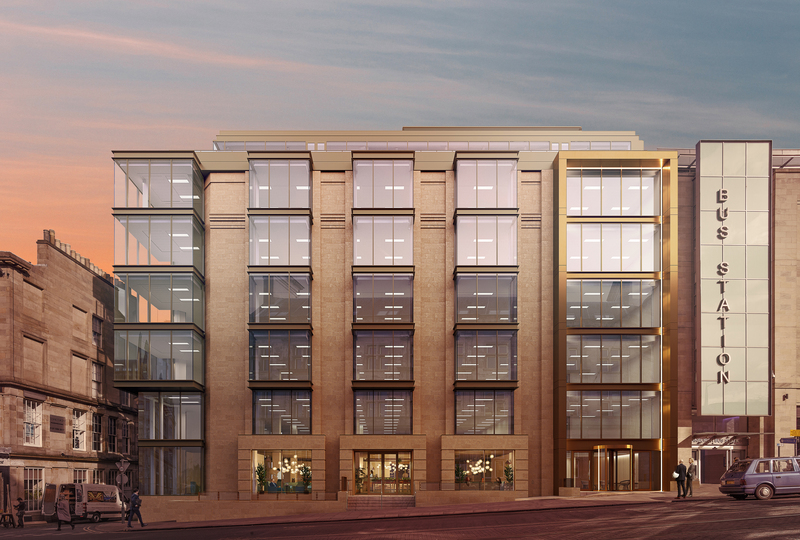 Commercial property developer Knight Property Group has awarded an £8 million contract to ISG Construction Limited for the redevelopment of Four North, St Andrew Square; formerly known as Edinburgh House. Acquiring Edinburgh House in April 2016, Knight Property Group have bought into a prime location for both office and leisure use and are progressing with a transformational redevelopment of the property on a speculative basis. ISG Construction Limited will carry out an extensive refurbishment on the 8 storey property commencing late June, including the addition of an extra floor at roof level giving stunning views over the Square and to the North. Upon completion, the Grade A building will be capable of accommodating up to 500 staff, and will benefit from open plan floor plates, car parking, bike storage facilities, lockers and showering/changing facilities. Knight Property Group’s recent redevelopment of The Capitol, a project valued in excess of £30million, was recognized by the British Council of Offices (BCO) as commercial workplace of the year within their region. Cameron Stott at JLL comments, “James and the team at Knight Property Group have a certain expertise when it comes to bringing new life back into tired buildings. As market demand increases, there is a lack of high specification office developments within the city centre, making Four North a great investment for Knight Property Group. Within the last 12 months St Andrew Square, and the surrounding areas, have benefited from major investment. Neighboring site St James Quarter will see the 1970s shopping centre replaced with 850,000 sq ft of retail space, a luxury hotel, up to 150 new homes, 30 restaurants and a multi-screen cinema.